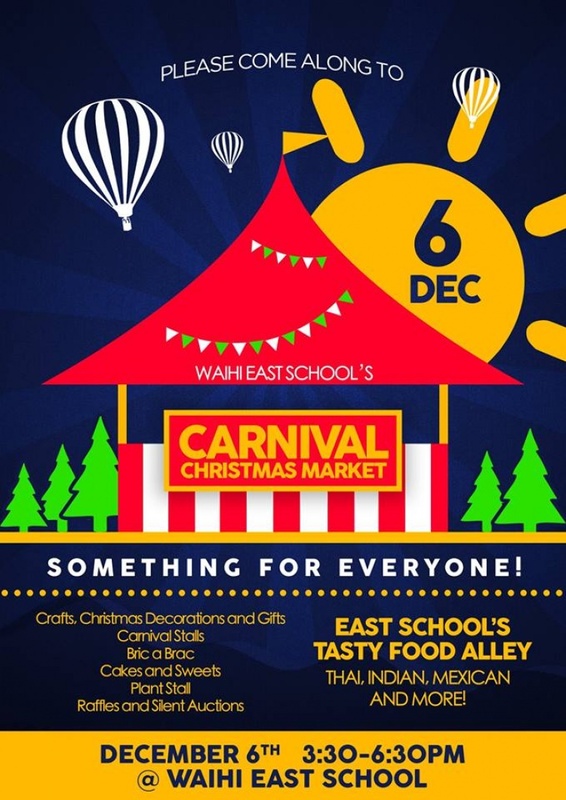 Waihi East School is hosting a Christmas Carnival Twilight Market on 6th December, 3.30 pm to 6.30 pm. The Carnival brings the community together for a fun and entertaining evening. Everyone is invited along to have dinner at the international food stalls, to browse the produce market and bric-a-brac; classroom stalls; fun carnivals stalls, and enjoy entertainment put on by the students. There’ll be plenty of opportunities to win by buying a ticket for one of the many raffles on offer and placing a bid on one of the silent auctions. The school is raising funds for the Year 5 and 6 camp being held at Port Waikato in 2019. By keeping the cost down for families Waihi East School can ensure that all of their children attend camp. Some of the benefits that the children gain from attending camp are further developing their problem solving skills, building trusting friendships and relationships with each other and teachers, learning to push beyond their own self limits, participating in activities that they might not otherwise get the opportunity to such as abseiling, archery, and rock climbing, improving self-confidence and becoming more independent.